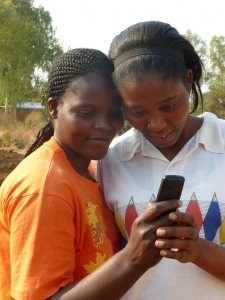 Transforming Chipatala cha pa Foni (CCPF) – health center by phone – into a youth-friendly health service requires support from unexpected places. 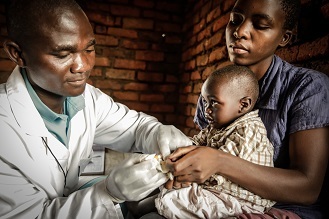 Since 2011, this service has provided health information to communities around Malawi. Through the DREAMS Innovation Fund, CCPF has expanded to provide a free, confidential option for young women and men to learn more about sexual and reproductive health topics. Hotline nurses were trained in youth-friendly service practices. New content was developed targeted at the specific needs of youth. Partnerships were coordinated to make the service more accessible to youth. Everything was ready to go – the question became, how do we encourage youth to call? Working with partners and Adolescent Advisors, VillageReach taps into existing networks and finds passionate youth who can champion CCPF for Adolescents among their peers. Working with fellow adolescents is nothing new for Austin. 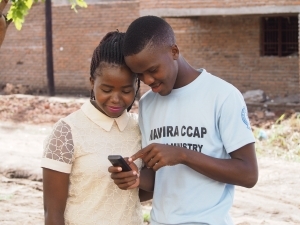 At 19-years-old, Austin is already an active member of his community in Liwonde township. He is involved in several youth clubs, including a club hosted by the Youth Impact organization. This is where he first heard about CCPF for Adolescents. Mwayi and Shaban – two Adolescent Advisors – came to speak at a meeting of the Youth Impact Club to share information about CCPF for Adolescents and build relationships with youth throughout the district. Both Mwayi and Shaban immediately noticed Austin’s passion and active participation in activities. He was a perfect candidate to serve as a youth champion for CCPF. Through several more visits with the youth club, Austin learned more about CCPF for Adolescents. Despite his growing knowledge of the service, Austin wasn’t confident sharing with others. He wasn’t sure exactly how the hotline functioned and worried that he would get questions he wouldn’t be able to answer. But, Austin saw the potential of CCPF for Adolescents. He is often asked questions by his friends and teammates about sexual and reproductive health, but doesn’t always know the answers. Austin talked to his football team about the service. They all agreed the service would be useful, so Austin reached out to the Adolescent Advisors for support. On a Wednesday afternoon, Austin visited the VillageReach office to remind the CCPF for Adolescents team that the Barca Football Club has practice every Thursday – and it would be a great opportunity to come speak to a group of youth. Mwayi, Shaban and the other Adolescent Advisors joined the practice – answering questions about the hotline and the services it provides. Despite the sensitization, no one from the football club actually called the hotline. When the Adolescent Advisors followed up, the youth said they hadn’t needed the service yet. Austin on the other hand, decided to use the service himself. He called the hotline to ask personal questions regarding sensitive topics he had limited understanding on. The hotline worker who answered his call was patient, did not judge, and was well informed on the matter. Austin was reassured that his worries were unfounded, and was able to ask questions he would have been too shy to ask at the health center. This positive experience made Austin more confident in the service and more eager to share it with his peers. Austin’s first-hand experience with CCPF for Adolescents solidified his role as a youth champion. Working with the Adolescent Advisors, he has a better understanding of the hotline and is no longer worried about answering questions. 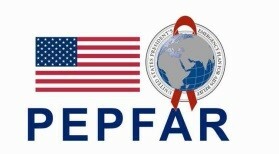 He has been actively sharing information about the service among his friends and community. Going an extra step, Austin invited Mwayi, one of the Adolescent Advisors, to participate in a drama the Youth Impact Club was showcasing at an open day organized by PSI Malawi. The youth incorporated CCPF for Adolescents messages in the play. Together with Mwayi, he spoke to the crowd of 157 people, of which most were youths, about the service. Austin is excited to continue spreading the word about CCPF for Adolescents and hopes more adolescents will be able to access the information they need. He hopes to use his experience to ensure other adolescents of the youth friendliness and confidential nature of the CCPF hotline. He says most youths have so far been excited about the service. Because there is no face-to-face interaction, youth feel more confident asking questions and have fewer worries about privacy. He hopes they will utilize the service especially when they have a health need or question. Austin continues to link adolescent girls and youth women with CCPF so that they can receive the information they need to meet their sexual and reproductive health needs, just like he did. He believes it is essential to equip them with knowledge on sexual and reproductive health to avoid early pregnancies, STIs, and overall, to help adolescents access sexual and reproductive health information which will ultimately promote their ability to stay in school. Read more about the DREAMS innovation challenge here (PDF).